I love to send good old-fashioned mail. Especially birthday cards! Today I thought that I would share with you a little something that I added in with the birthday cards that I posted last year. Yesterday I reviewed my presents list for the new year. I keep a Spreadsheet detailing all of the presents for the year, and this is how I allocate a fortnightly allocation out of our pay that gets automatically transferred into my Presents Account. The past two Christmas' I have come out with money left in the account (yay! ), so this indicates to me that this system works, needless to say that we will be continuing with this system again in 2013. 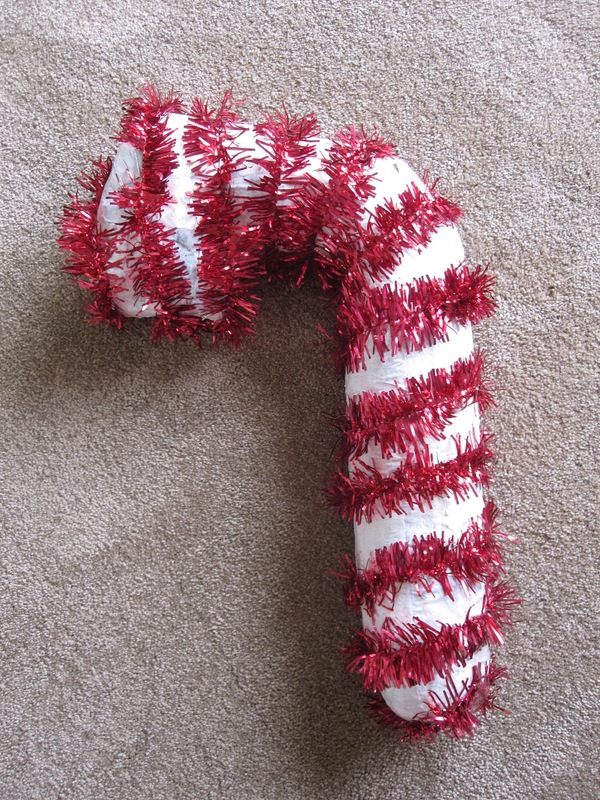 Pinterest is such a great place to get ideas for presents. 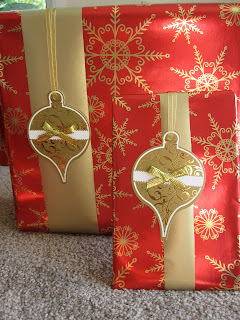 I find it shows ways to turn a gift into something that is thoughtful and much more meaningful. I am sure that lots of you have already seen either one or both of these little gift ideas, like those floating around on Pinterest, but I just had to share them, as I received both of them from a very special friend this Christmas, and I knew you would love them both! At the end of the school year, I had the pleasure of being involved in decorating our school hall for the year 7 graduation. We have a beautiful hall (it is not at all like a sports shed! ), so it was a lovely space to work with. The main issue we had was that there was 200+ people for a sit-down meal, so making such a large space look good was our challenge! 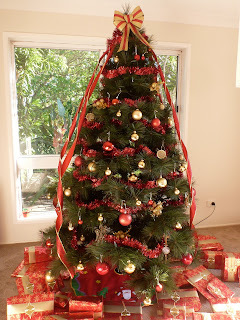 I shared with you earlier this month our family tradition of having a piniata on Christmas day. This year, I was rather behind with my Christmas preparations, due to the 16 weeks of sickness that I felt at the start of my pregnancy. 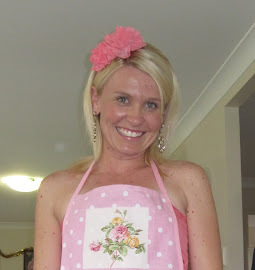 Every spare moment was spent resting, so being super-organised for Christmas this year was just not going to happen! Last year, I put in lots of hours making these handmade Christmas cards. I loved making them, and I loved giving them. But this year I needed a solution that was a little less time consuming. 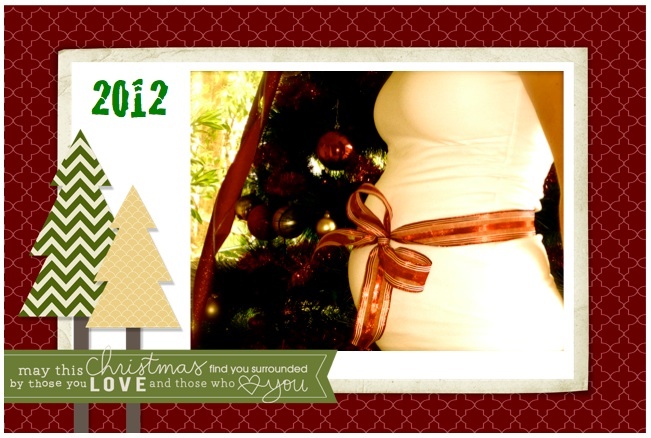 That is when I came up with the idea of a digital Christmas print of my baby bump! I hope everyone had a beautiful Christmas with their loved ones. I am so blessed to have such an amazing family to share such a special time of year with. Here is a little peek at how things are looking around here this Christmas! I decided to bake cookies as a Christmas treat for my staff at work. I found these adorable square pink baking cups at a variety store, and made a simple little label to stick onto the front, which I cut out with my scalloped punch. Do you need a creative way to get your Secret Santa to guess who you are?! At my work, in December we play the game of Secret Santa. Each day for a week (or two) we provide our Secret Santa buddy with clues (and little presents), so that they can guess who you are. It is a really fun way to end a busy working year!